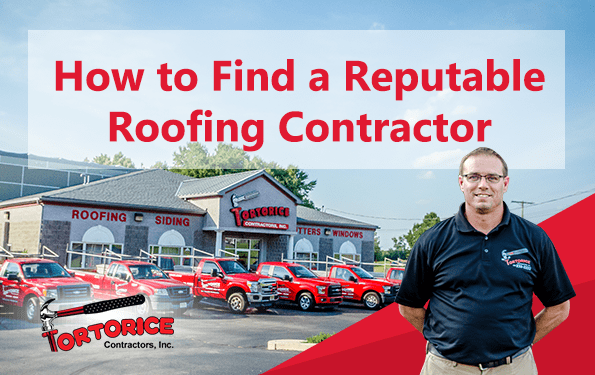 Tips On Finding a Reputable Burlington Township Roofing Contractor - Tortorice Contractors Inc.
Finding a reputable Burlington Township roofing contractor after a storm can be a daunting task. There are so many of them, which can make it hard to find the right one. A good roofing company based in Burlington Township should know about good practices, roof covering products, industry safety practices, and roof flashing details. A good roofer should also be able to give you sound advice regarding products, materials, explanation of procedures, and most of all provide solid results. Here are tips you need to consider if you are looking for a reputable roofing company from Burlington Township. Roofers work in dangerous conditions. They usually work in high places and handle sensitive materials. They are also doing work within your property. This is why you should consider the insurance policies of the roofing firm from Burlington Township that you are thinking of using. They should have insurance coverage for their employees. This is to cover any injury they sustain while working. Burlington Township roofers should also have liability insurance to protect your property from any damages while they are working. Hiring a roofer without insurance policies could result in expensive lawsuits. If an accident does occur and your roofer doesn’t have an insurance policy, you could end up paying for the injuries and damages. Nowadays, the number of roofing companies that roll by in their pickup trucks offering their services are increasing. It can be tempting for many homeowners to take them up on their offers because they are usually very cheap. However, many of these shady companies are actually scammers masquerading as roofers just so they can make a quick buck. Most of the time they do not do a good job and cannot be contacted if their workmanship fails. Avoid sketchy companies and hire a roofing firm in Burlington Township with a physical address and landline. A physical address and phone number usually signifies a more stable business compared to companies that only exist in a van. Companies with local addresses usually have ties with the local community and have affiliations. Safety is a big issue in the roofing business. Lack of safety training can result in accidents which in return can affect the schedule of the roofing project. Delays can be costly, especially if you’re having the roof of your business fixed. It is also very inconvenient for your family to live in a home without proper shelter. Hire a roofing company from Burlington Township that prioritizes safety. This means that they care for your safety and their workers’ too. Ask for certifications that you can use to help verify their credibility. Since there are so many roofing firms based in Burlington Township, it can be hard to find out if they do a high-quality job before hiring them. One of the best ways to find out if they have a good reputation is by asking them for names of past clients who you can call and interview. A reputable Burlington Township roofing firm will not hesitate to give you names of past customers because they are confident that their clients are happy with their work and will gladly recommend their services. Be wary of Burlington Township roofing companies that offer to process your insurance claims for you. In most states it’s illegal to let roofers handle your claim. In any roofing case you should handle your own claims to help not only avoid fraud but also to protect yourself. Never start a roofing job with a Burlington Township roofing business without a written quotation and contract. Many people think that it is alright that both parties have verbal contracts and estimates. This is a bad idea because the “he said, she said” agreement is hard to verify and is a difficult way to resolve conflicts. Avoid future problems by insisting that the roofer from Burlington Township submit a written estimate of the job and a contract. The contract should also contain details of the job to be done, materials to be used, and the duration of the project. The contract will give you something solid to stand on should disputes arise between you and the Burlington Township roofer. Many roofing companies from Burlington Township use contractors to do certain parts of the job for them. While this is not illegal, there are subcontractors who do a poor job which can affect the overall quality of the work. This is because subcontractors get paid on a job-by-job basis and end up rushing it. If the contractor from Burlington Township is using a subcontractor for certain jobs, make sure that the part of their job is covered extensively in the contract and warranty. This is to protect you from a poor job quality and any possible future damage. A legitimate roofer in Burlington Township is not hard to find. Make sure you only deal with licensed and insured contractors. Take your time before signing a contract with any of them. Remember these tips if you’re hiring a roofing contractor from Burlington Township to help minimize your risk of choosing of the wrong one.